The C4 LS swap headers feature 1-3/4" primaries into a 3" slip fit collectors with stout 3/8" CNC cut flanges. O2 bungs located in each collector. Passenger side header maintains excellent clearance from the idler arm unlike so many other aftermarket headers. There is also plenty of room between the number 8 primary and the AC evaporator box. The collectors are intentionally angled in towards the center of the car since the exhaust must pass through the transmission crossmember. NOTE: THese will not work with the Corvette batwing oil pan and requires F-body pan and pickup tube. Melrose customer Bob Wisniewski was one of our first customers to utilize the LSx swap headers on his 1992 Corvette. Bob recently ran a 10.04 @ 138.30 with the mods listed and should be in the 9's soon with his Procharger goals listed below. 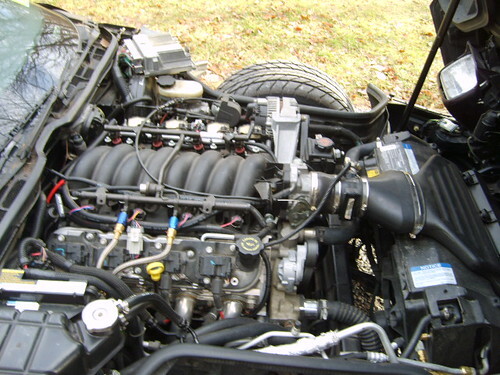 Installed is a 2001 LS1 motor using C-5 motor mounts, and 4l60e Transmission, Straight Axle installed by Carrols Rod and Racecraft with a Current Performance wire harness and a f-body computer. They replaced the Dana 36 with a Dana 44 3:45 gear ratio. ZR1 chrome wheels with M/T 315/35r/17 et street radials. This year he intends to add a Disc Procharger with 14lbs of boost, 60lb injectors, Boostapump for more fuel pressure and methanol injection. Will expect 900 crank hp with 750rwhp. With this kind of power he expects to also install a straight rear axle. 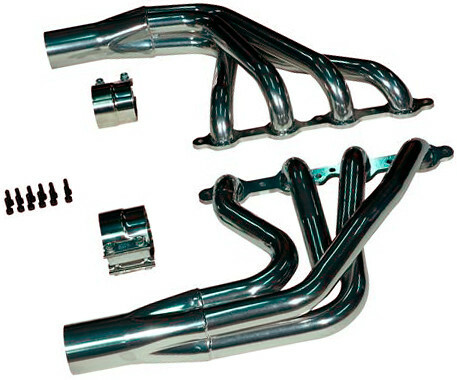 Speedhound is a certified distributor for the Melrose Long tube swap headers. Speedhound sells the LS motor adapter plates that allow the engine to bolt into the C4. Quicktimeinc.com has a bell housing that puts a ZF behind the LSx engines. Part number RM 6039. 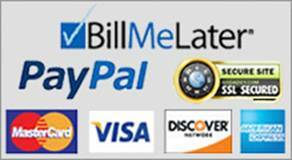 Vettaid.com has the dashes and other electrical areas covered. Harnesses are made by any number of people for the engine. The LS motors need 58 PSI and the L98's and LT1's had about 43-45. Racetronix.com and their associated dealers has a drop in fuel pump for the car. This is the one we used for the 87 http://www.racetronix.com/RX-C4369-FPKG-2.html . Dewitts has radiator avail thru Speedhound. The factory C4 radiator will work, but they weren't all that great from the factory, so an upgrade is recommended. Melrose will also contemplate offering a Howe radiator in the future. Fantastic quality! Great customer service! 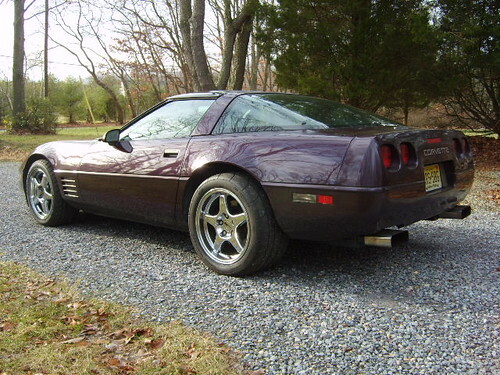 If you are doing an LS swap to your C4 Corvette look no further than here! They have the only quality set of headers on the market for this swap! 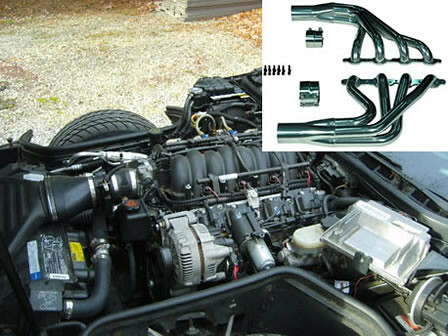 Click the button below to add the 84-96 Corvette C4 LS swap headers uncoated to your wish list.